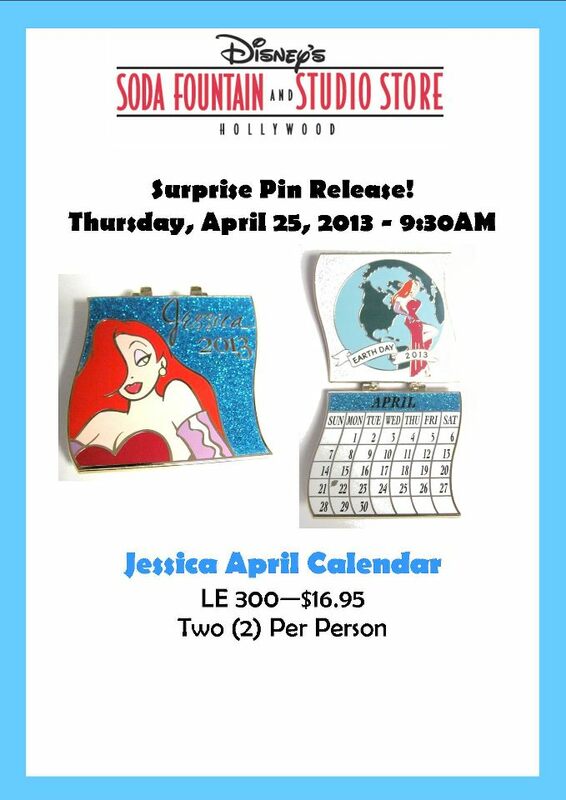 The Jessica Rabbit Calendar Surprise Pin was released on Thursday, April 25th at Disney Soda Fountain and Studio Store. This pin is blue glitter filled on the front - with the inside showing Jessica Rabbit in front of the Earth, celebrating Earth Day. The pins are a LE 300 and sold for $16.95 each.